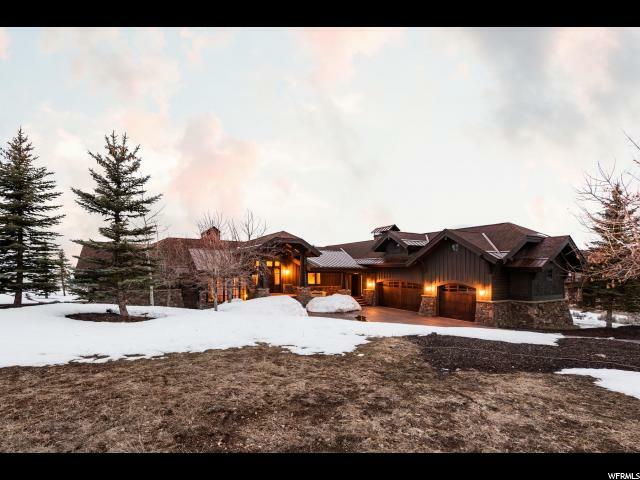 All WEST HILLS homes currently listed for sale in Park City as of 04/18/2019 are shown below. You can change the search criteria at any time by pressing the 'Change Search' button below. "Truly creative architectural lines grace this unique modern home. Built by Scandia with Finnish, Honka Log. Strategically situated on 2.62 acres in the coveted West Hills subdivision of Promontory, this listing also includes the adjacent 3.31 acre lot, creating open space (or could be built on in the future), for a combined acreage of 5.93 acres. 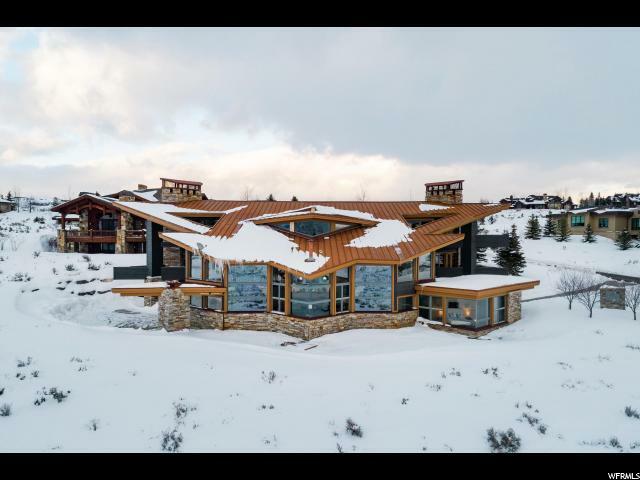 Overlooking the valley and capturing dramatic Park City Mountain and Deer Valley ski resort views. The open floor plan, with two living rooms, dining, games area and loft space that flow effortlessly on multiple levels are anchored by the sui generis gourmet kitchen. Miele appliances, a modular quartz center island, fitted with cabinetry, double dishwashers and two sinks. Separate modular quartz counter with built-in pantry/refrigeration/ storage systems. Outdoor living spaces with decks, patios and fireplaces, make this home fabulous for entertaining. Three indoor fireplaces, includes one wood-burning. Capacious angled windows allow for spectacular views from every room. Four luxe bedrooms, ensuite each featuring oversized barn doors. An upper level seven seat media room (could be converted back into a fifth bedroom). Crestron sound system with indoor/outdoor speakers. Private hot tub. Radiant heat/AC. High end construction and custom finishes throughout. Ample four car garage and porte-cochere complete a home worthy of its title." "Immaculate Michael Upwall designed home in the coveted West Hills neighborhood of Promontory. This thoughtful family home has a main-level master with fireplace and master deck, private home office, and accompanying guest suite. Enjoy the majestic ski views from the open living/dining area and capture the magical evening sunsets from the adjacent spacious outdoor patio deck. Downstairs living area is complete with 3 lower bedroom suites, lower family room with an entertaining wet bar, plus a walk-in wine cellar, theater room, and your own golf simulator. Three-car garage with a heated driveway, plus nice courtyard for extra parking, makes this your ultimate family vacation home. "